Not everyone oohs and aahs about firework displays. Some go into curmudgeon mode, grumbling about the expense, the air and noise pollution, the way it upsets dogs and budgies. Some even suggest the money could be given to the needy. The eclectically musical among you may have noticed the Tom Waits reference in the heading. I’m not even sure we’re allowed to do that, which of itself would be a travesty since Tom has not much to do with this essay at all. Apart from a song of his forever lodged in my lizard brain that tells of a man who “came home from the war with a party in his head”. I was technically wrong too with a Twitter/Facebook post on January 1 which suggested the $7.2 million which ‘went up in smoke’ for Sydney’s New Year celebrations could have been better spent. I did the sums and suggested the money spent on celebrating New Year in Sydney could have bought 35,000, $200 food vouchers. This spontaneous aside sparked enough commentary to suggest the topic was worth further exploration. If you want to be pedantic, only $905,000 went up in smoke (the actual cost of the fireworks contract with pyro-technicians Fodi Fireworks). I asked Sydney City where the other $6.3m went – (a lot of it went in wages and the 15-months of planning that goes into an event of this size). A spokeswoman told FOMM that as well as designing and producing two major fireworks displays, the City produced entertainment on the harbour and managed seven vantage points around the foreshore, which included implementing road closures, installing fencing and hundreds of toilets, and organising security. The City is also responsible for cleaning up after the event, which by some reports generated 60 tonnes of garbage. Ian Kiernan of Clean Up Australia thinks the annual fireworks display is old-fashioned and bad for the environment. He told Radio National it was time for a greener approach – bigger, better and brighter light shows and such. RN rightly pointed out that record crowds were voting with their feet (1.6m this year) adding that the New Year event generates economic benefits for New South Wales. Kiernan called this “selling the environment for commercial benefit” and he has a point, as our Sydney waterfront jogger reckons people were still cleaning up the New Year detritus days later. Research by Destination NSW found New Year’s Eve has a direct economic impact of more than $133 million, so the City thinks it is money well spent. 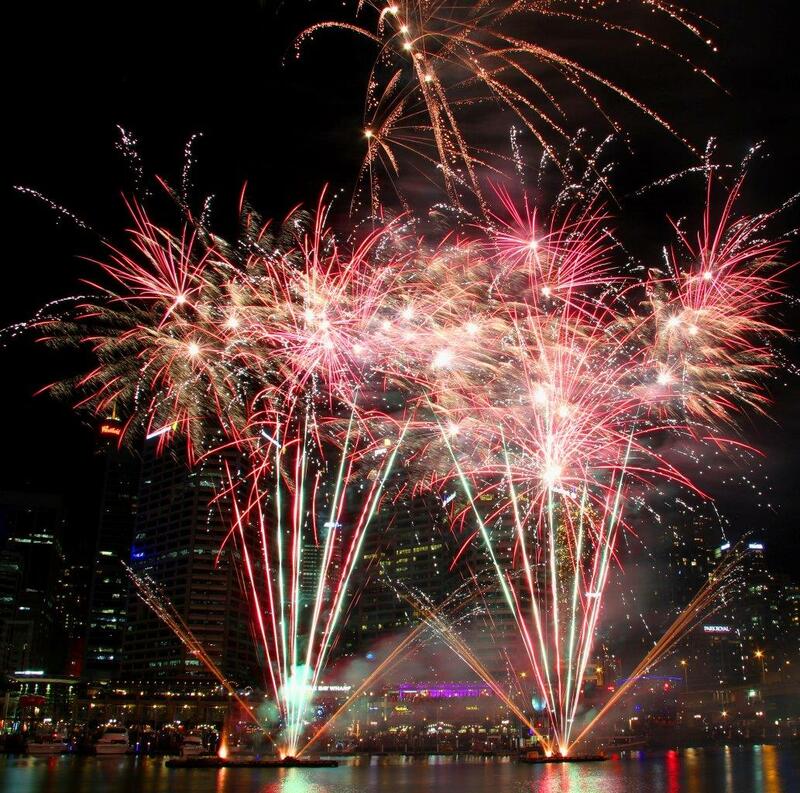 “Sydney New Year’s Eve is Australia’s largest public event and one of the biggest and most technologically advanced fireworks displays in the world. It showcases our great city on a global stage,” a spokeswoman said. The major issue with fireworks is that they are not so far removed from the military world of missiles, RPGs, artillery shells and various explosive devices. One of the reasons firework displays are expensive is that there is much red tape and expense involved in acquiring a pyrotechnics license and permission to use said skills in specific locations. Not to mention public liability insurance. There’s a fair bit of upcityship where New Year celebrations are concerned. Sydney is pushing the boundaries of its annual budget, this year edging close to burning up $1 million worth of fireworks in two co-ordinated displays lasting a total of 20 minutes. The Australian Financial Review said this boils down to $45,000 a minute. Last year, the fireworks budget was just $650,000, but the City is happy to keep upping the ante because of the international focus on Sydney, the first city in the world to celebrate New Year. Nevertheless, Sydney’s bunger spend was almost three times that of Melbourne ($340,000), with the Sunshine State a distant third. Conversely, London spent 1.8 million pounds ($A3.68 million) on its 11-minute display, which, if you don’t mind, gave ratepayers relatively better value. Kuwait and Dubai have been jousting with each other over the coveted entry in the Guinness Book of Records. Kuwait took the gong in 2012, reportedly spending $15 million, only to be upcityshipped by Dubai in 2014. If watching lavish videos of fireworks displays is on your to-do list, check out YouTube. One of the reasons cities vote to burn up money in short-burst fireworks displays is the opportunity to attract the ever-fickle tourist dollar. “Ha? !” (Icelandic interjection loosely translated as WTF). The multiplier effect ensures that billions of dollars, pounds, euros, króna, roubles or shekels get burned up every New Year’s Eve, every 4th of July, every November 5th, every whatever your national day is and, though on a smaller scale, every agricultural show held anywhere in the world. Even in tiny Allora on the southern Darling Downs, the local show society welcomed in the New Year with a modest fireworks display. In Warwick, where we spent NY 2016, the far away pop-pop noise of fireworks in the showground started a ‘trigger dog’ effect. It does not take too much thinking about this subject, tens of thousands of cities and towns around the world burning money for a few minutes of oohs and aahs, to turn a man into a socialist. And I’m not the only one. An online petition started by Lisa Nicholls under the change.org banner urged Prime Minister Malcolm Turnbull to spend the equivalent amount of money helping struggling farmers. Last we heard she’d attracted 33,784 signatures. Go on, you know you should. While we might grumble about ratepayers’ levies being spent on such frivolities, the hard economic fact is that private enterprise is loath to invest in fireworks displays. How do you get people to pay for the entertainment, which is outdoors and visible from vantage points up to 10 kms away? I guess you could hire an army of people to wander around among revellers shaking donation tins. Human nature being what it is, people are unlikely to start paying for something they have been enjoying for nothing, year after year. The New Year fireworks upship of state will be hard to turn around. As the City of Sydney implies, planning for 2017 started in October 2015. Ah well, only 19 more sleeps until Australia Day. Now, if only I can get the dog out from under the couch. Change.org, Fireworks, New Year, Tom Waits, Tourism, Waste. Bookmark. Melbourne’s Lord Mayor said on NYE that of the $9mill spent on the fireworks display in Melbs only some $400K (slighlty mor ethan you said) actually went up in smoke and sparkly bits. The rest is on security, garbage collection, free public transport, etc etc. He didnt mention economic benefits but I guess they are on a par with Sydders. Dang, the word million was a mistake (by me) – sorry about that and well spotted!